Vintage advertising image for a book all about cultivating grapes and manufacturing wine. George Husmann of Missouri ran his advertisement in the 1867 American Agriculturist v. 26. 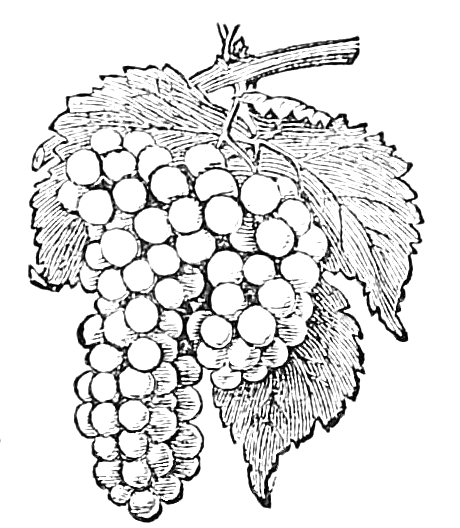 Along with the pricing for his manuals, he included this sweet bunch of grapes drawing. This engraving, like all of them I found in this magazine, converted nicely to black and white. Colorists might like it as it seems to just be waiting for someone to green up the leaves and ripen the fruit to depict their favorite variety of grapes.